Rausch ex-display outdoor dining set. 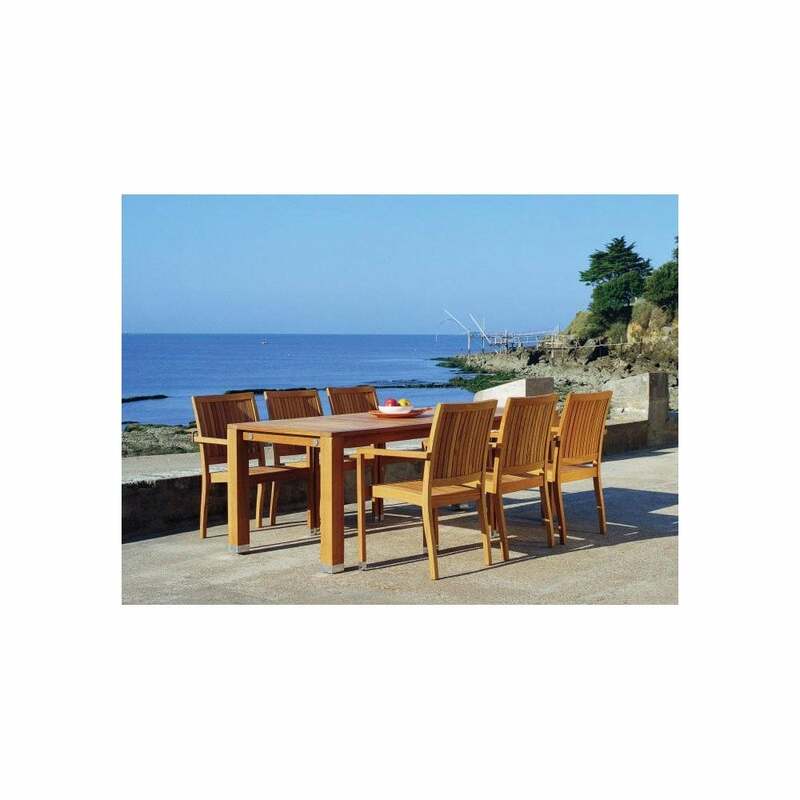 Comprising of 8 x Toulon stackable chairs c/w B42 Linen seat pads and 1 x Long Beach St Mandrier 368-3 Rectangular Table. Chairs in teak. Slight wear and tear hence our fantastic price and free delivery. Items are non-returnable and are available to view at our warehouse - please contact us for details. Seat H 44 cm. No discount coupons can be used against this as the price is heavily reduced.